A CBI court in Mumbai rejected Friday a bail application of Sheena Bora murder case accused Indrani Mukerjea. Mumbai: A CBI court in Mumbai rejected Friday a bail application of Sheena Bora murder case accused Indrani Mukerjea. Mukerjea had applied for bail in August, citing ill-health and a "threat" to her life in the prison. The court, however, rejected her plea, saying she would be much safer inside the jail than outside. Judge J C Jagdale also noted that her claims of ill-health were exaggerated. 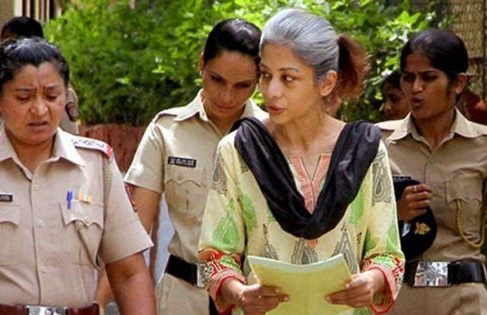 The court took note of the Central Bureau of Investigation's submission that Mukerjea has been kept in a secure cell and the prison premises are guarded round-the-clock. Releasing her would be prejudicial to the prosecution's case, the agency had said. In her bail plea, Indrani had cited an incident in April this year when she had to be admitted to a hospital. While the prison authorities claimed it to be a case of drug overdose, she alleged that someone might have tampered with her prescription medications. The CBI, opposing her plea, argued that she often interacted with her associates in the court after hearings and one of them might have given her the pills which caused the illness. The jail authorities and doctors at the government-run J J Hospital can provide her adequate medical care, it said. Mukerjea, who allegedly made all efforts to keep her daughter Sheena Bora's death hidden for more than three years, deserved no leniency, the agency told the court. Sheena Bora (24) was allegedly killed on April 24, 2012. The crime came to light after Mukerjea's driver Shyamvar Rai, arrested in another case in August 2015, spilled the beans. Mukerjea, her former husband Sanjeev Khanna, and Rai were arrested for alleged murder, and subsequently her current husband and media baron Peter Mukerjea was arrested for allegedly being part of the conspiracy.